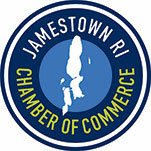 Please join us on Thursday, February 7, 2019 at 6:00 p.m. for our first Business After Hours at Conanicut Brewing located at 34 Narragansett Avenue. Come learn more about what Conanicut Brewing offers with respect to at-home brewing and wine making kits, as well as their classes and other supplies and networking with other members. Stay tuned for more announcements regarding the 2019 Annual Meeting, as well as our other exciting upcoming events for 2019. We wish everyone a Happy, Healthy and Successful 2019.